Get your Christmas shopping done now! 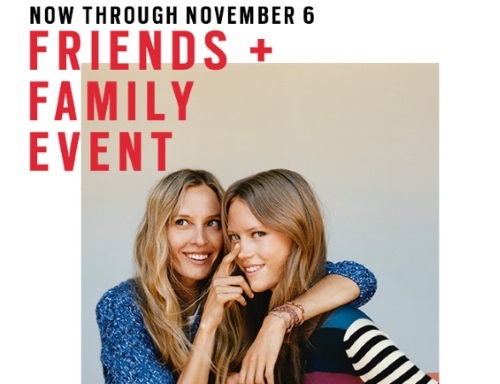 Gap's Friends & Family Event is on now! Offer is valid through Sunday, November 6, 2016. Edit November 7 - This sale has been extended one more day until end of day Monday, November 7,, 2016.